Starting from April, 2015 English Club TV channel (Channel №45) is available in 37 African countries through Canal plus Overseas in Basic Package. Andrew Semchenko, CEO of the English Club TV Group, said: «We’re glad to have started our collaboration with Canal Overseas and broadcast the channel in Africa. Nowadays at least 26 African countries have English as one of their official languages. English has become an important tool in all areas of life that gives plenty of opportunities for business, science, medicine and tourism. 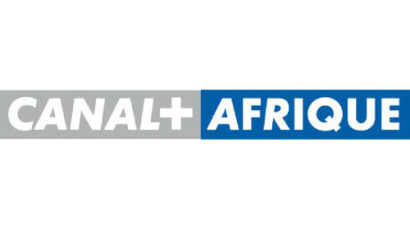 English Club TV channel with its unique educational content is happy to help African people of all ages learn English without leaving their home». The English Club TV Group is a group of production, education and distribution companies that operates worldwide in the field of English language teaching under the brands of ENGLISH CLUB TV and ECTV. The English Club TV channel covers European, Asian and Africa continents. English Club TV HD is the high definition simulcast of the English Club TV channel. English Club TV HD was launched in November 2012. The web site (www.english-club.tv) is a web service for fans of the English language and fans of English Club TV channels worldwide that provides its on-line service of the English language learning in 74 countries worldwide. English Club TV is an educational channel for those who learn English. All programmes have been developed by experienced methodologists and have an educational aspect, which helps combine education and entertainment. Moreover, programmes are divided into different levels and topics, which help viewers enlarge their vocabulary with new words from different areas of life and therefore can feel comfortable in an English speaking environment. For more information, please visit www.english-club.tvCANAL PLUS GROUP is one of the world’s premiere subscription-based television providers with nearly 14 million subscribers across Europe and Africa. In addition to its Canal + pay-TV service, with operations in France, Sweden, the Netherlands, and Spain, until early 2000 the company held a nearly 70 percent stake in CanalSatellite, the French satellite television provider, as well as a more than 70 percent stake in Multithematiques, providing theme channels to the cable and satellite television markets.